Aside from designing and blogging, I'm also a working artist. 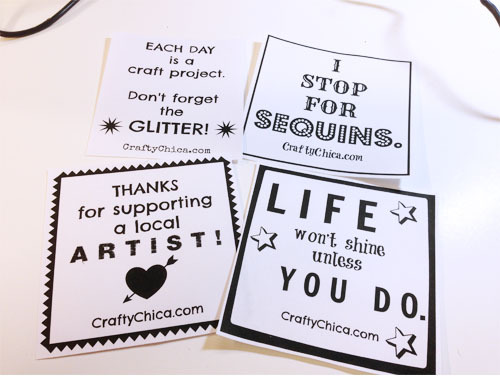 Nights and weekends are devoted to making merchandise to sell. Here in Arizona these days, the weather is gorgeous, so we are in peak art fair season! My husband and I set up an art booth at an event almost every weekend and I love to think of new ways to promote my brand at these types of shows. 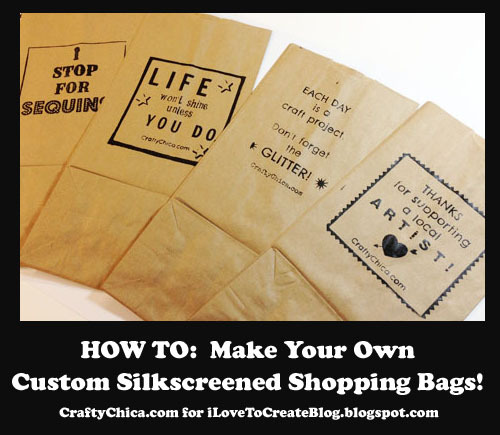 Many of our items are smaller and I love using classic brown bags as the shopping bags. I realized that I couldn't just send them out blank when I could imprint a cool, positive message on each one, right? We have a huge festival this weekend and I thought it would be perfect to try out this idea. I'll show you how I burned four screens from one large screen! 1. Design four images that are 4" x 4". NOTE: I did 4.5" and they were a bit too big to all fit onthe screen, next time I'll make them 4x4! 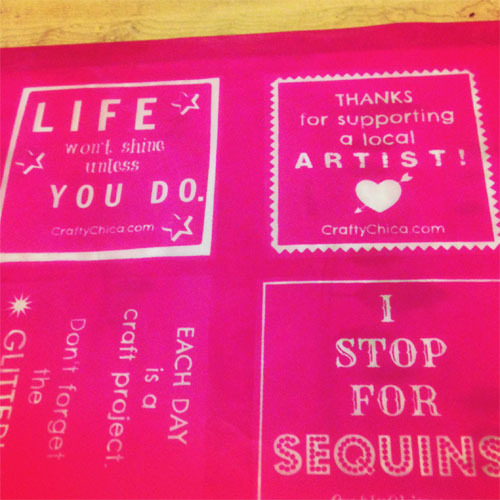 Print your designs to size and cut. TIP: Use strong bold fonts and graphics. Because the end design is small, you'll have better results with thicker lines. 2. Prep and burn your screen! Work in a dim area, use the yellow bulb in a small lamp to provide your light. You don't want to expose your screen to light yet! Place the ScreenIt on a tabletop and remove the light box and frame. Remove the screen from the black bag and place on the foam base, use blue painter's tape to secure the screen to the base. Arrange your designs the way you want them, then lightly spray each design (printed side) with a fine mist of Repositionable Spray and place face down on the screen. Use the side of your hand to rub the paper so it will bond tight with the screen. NOTE: This is a mistake I made - I place my designs too close together, you need to leave a wide enough edge so you can easily print. But I'll show you how I fixed my goof in the next step! Replace the light box, burn for eight minutes, then turn off the switch, lift the light box and rotate it 180 degrees and set back on base. Burn for another 8 minutes. Remove screen, soak in water for 30 seconds, and use a sprayer or sponge to wipe off non-exposed areas (your design!). Set on a tabletop and rub with sponge for a minute or so until your design is clear, you may have to rinse under water as well. Rub any stubborn spots with your fingerpads until it is clear and you can see the screen. 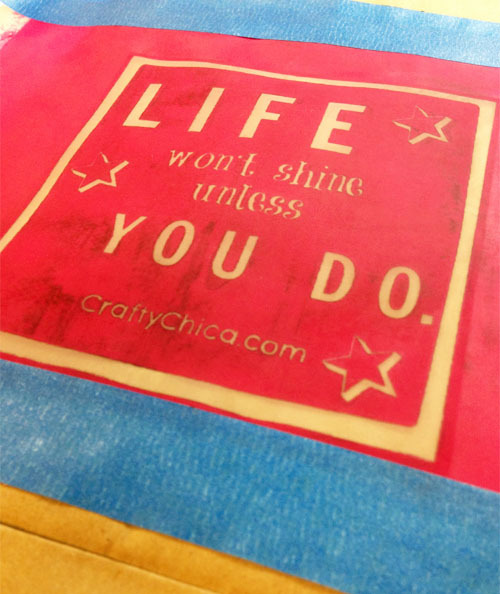 Set on the tabletop, blot with a paper towel and let dry. 3. Print! Cut your designs. Eeek, mine barely have a border. I used blue painter's tape around the edges to give me more work area. Place the first bag on the foam base. Make sure to tape the bag to the foam base so it won't move as you print. Add a line of Tulip Soft Paint along the top of the design and use the squeegee to sharply drag the paint in one direction. You can drag it a second time, but do not go in the opposite direction or your print will blur. Remove tape and screen, let bag dry. Rinse your screen. And that's it, keep making more bags! It's a cheap way to promote you business. I'm thrilled at the thought of my customers carrying around their goods in one of my bags, maybe it will bring more people my way! Such motivated quotes inspires everyone and for me as being a Custom Paper Writing Services vendor, it builds up my moral. I have just discovered your blog and love your work. These bags are great. I would like to try something like that on tea towels for Christmas pressies this year. Get re-usable printed promotional bags as a great way to get your brand exposure. Capitalise on this popular trend & order online today with Mad Dog. 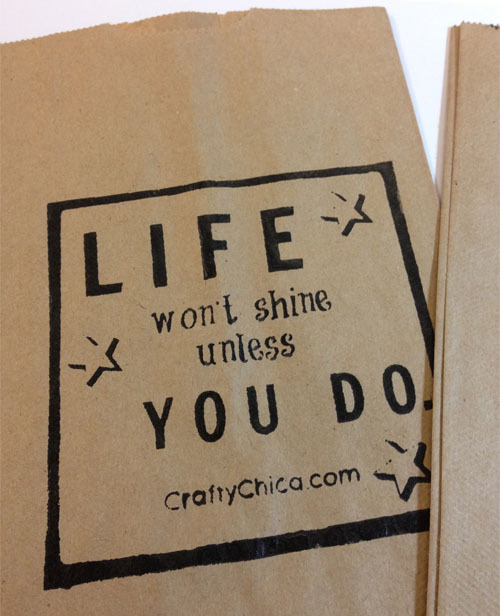 Thanks Kathy Cano for sharing conclusion of the Pinnacle - Custom Silkscreen Paper Bags. I will sure come with my team about cheap custom papers for attend this kind of success related program. Nice blog with great information. Great post. I like post very much. Wonderful blog with valuable information provided. 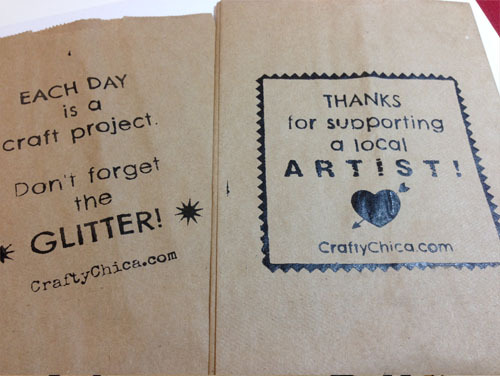 The demand of custom printed paper bags is on the high now a days because these bags create a mark of the company or the brand.